The six-year-old Oregon boy contracted tetanus—also called lockjaw—innocently enough. He got a cut on his forehead while playing on his family’s farm in 2017. The boy’s wound was treated and sutured at home. Six days later, he showed signs of tetanus. Tetanus is caused by the bacterium Clostridium tetani, which is found in soil and produces a toxin that causes painful muscle contractions. The boy’s symptoms started as crying fits, jaw clenching, muscle spasms, and neck and back arching. 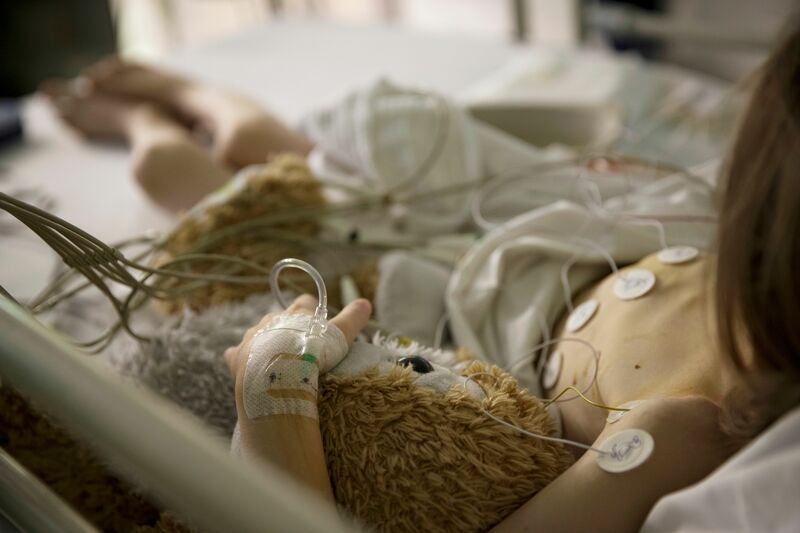 The same day, he started having trouble breathing, at which point his parents contacted emergency medical services, who quickly air-lifted him to a pediatric medical center. When he arrived at the hospital he was suffering jaw muscle spasms. He indicated he wanted some water but couldn’t open his mouth enough to drink it. Some of his muscles necessary for breathing also started spasming, throwing the boy into respiratory distress. He had to be sedated, intubated, and placed on mechanical ventilation. At this point, doctors admitted him to the intensive care unit, where they kept him in a dark room with ear plugs to avoid stimulating him, which can exacerbate the muscle spasms. They treated him with antibiotics and gave him a shot of a tetanus vaccine (DTaP). Still, his condition worsened. His heart raced, his blood pressure went up, and his body temperature spiked to nearly 105 degrees Fahrenheit. Doctors gave him multiple intravenous drugs to control his blood pressure, pain, and muscle spasms. They also performed a tracheostomy, cutting a hole in his neck for prolonged ventilator support. The boy stayed like this for 35 days. At that point, the doctors were able to wean him off the drugs for muscle spasms over five days. On day 44 of his hospital stay, he came off the ventilator and tolerated drinking clear liquids. On day 47, he was moved out of the ICU and into an intermediate care unit at the hospital. Three days later he was able to walk 20 feet—but he needed assistance. On day 57, he was released from the hospital and transferred to a rehabilitation center. He spent another 17 days there. And it took another month after his rehab before he was back to his old activities, including running and riding a bike. They also noted that the boy was the first case of tetanus in Oregon in more than 30 years. This lack of tetanus cases is attributed to widespread tetanus vaccination. Nationwide, between 2009 and 2015, there were only 197 cases of tetanus, which resulted in 16 deaths. The recommended schedule for tetanus vaccines for children is a five-dose course at 2, 4, and 6 months, then 15-18 months, and 4-6 years. Health experts recommend a booster shot every 10 years.